You’re listening to the Columbia Military Band with “Fight On”, recorded in 1939. Since that time “The Spirit of Troy” handles fighting duties. They’ve also played the Academy Awards 3 times, most recently in 2009. That year they backed Hugh Jackman and Beyonce at the Oscars, as well as Radiohead at the Grammys. They even cheered on Forrest Gump in the film, posing as Alabama’s marching band. 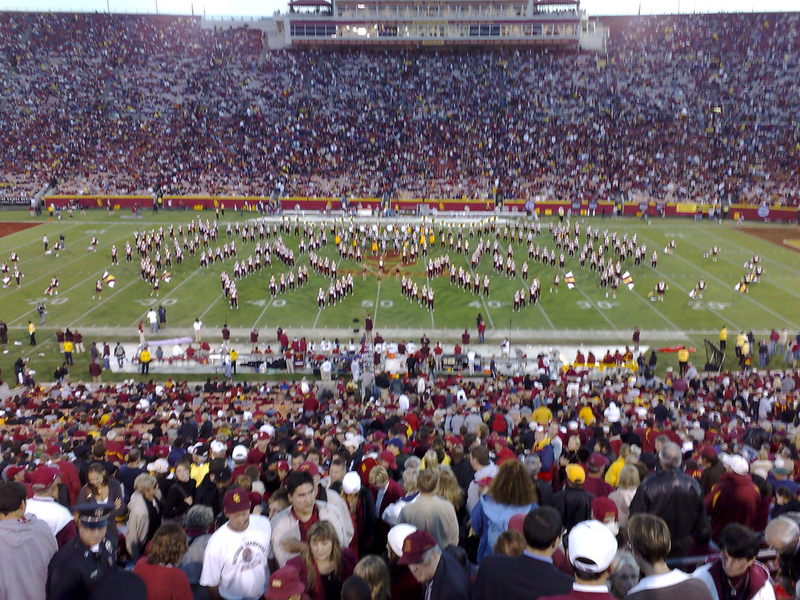 Learn more about college football fight songs on our blog!